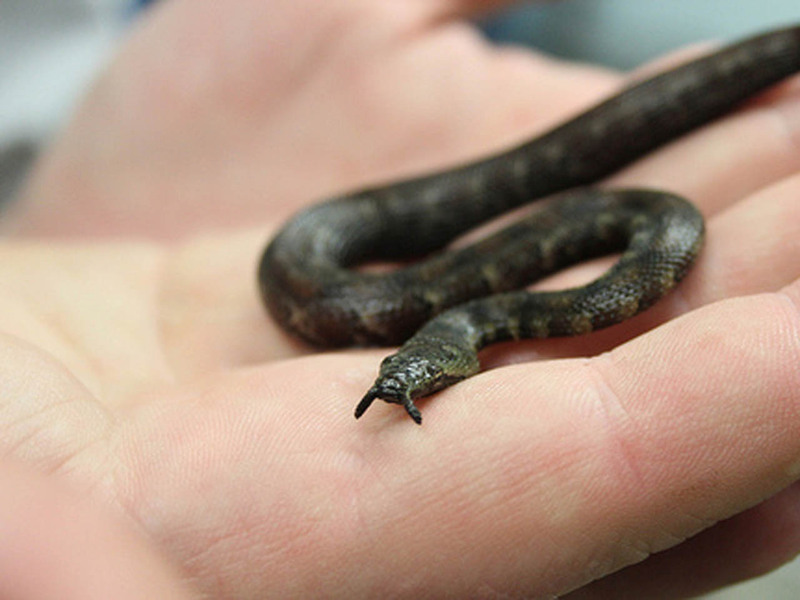 The eight baby snakes, which sport little feelers on their noses, were born Oct. 21 after four years of unsuccessful breeding attempts, the zoo announced Thursday (Nov. 8). The unusual aquatic species from Southeast Asia is not endangered, but researchers say it's poorly understood. The creatures, referred to as Erpeton tentaculatus in the scientific community, are relatively small, growing to about 20-35 inches in length, and they're the only snakes with two short tentacles on their snouts, which allow the reptiles to sense vibrations from fish that swim by.